Steel gates are a great way to add security to your property as well as aesthetic appeal. Our bonded and insured team is extremely experienced when it comes to adding durable and stylish gates to residential or even commercial property. Improve your property value, deter trespassing, and get outstanding service from our team all with one easy phone call. Should you need repairs in the future, you can often get same day repair service from our team. 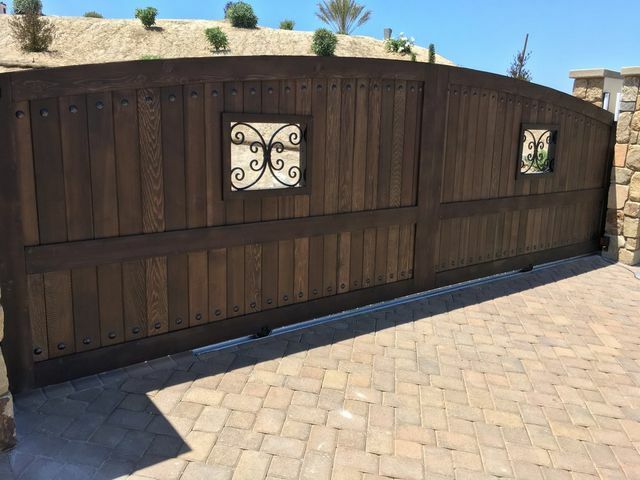 In addition to selling and installing high quality steel gates that look wonderful, our team can also perform repairs on your gate if needed. You can also come to us for automatic opening devices. Looking for an alternative to a garage? A carport serves most of the same functions that a garage does without requiring a completely enclosed space. It&apos;s a great place to get out of the rain, snow, or hail and protect your vehicle in the process. Call us for a FREE estimate on carport construction or repairs!